We get TripAdvisor TRAVELERS' CHOICE 2012 WINNER & 2013 WINNET. 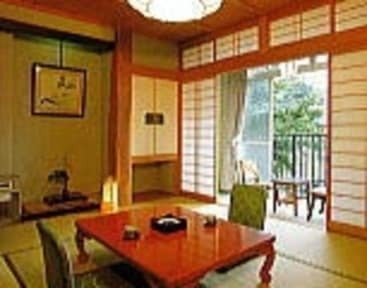 for two yearsWelcome to Shimaya Ryokan in Yudanaka Spa Resort in Nagano! Shimaya Ryokan provides FREE Shuttle Service to Jigokudani, as well as the Monkey Park; where you can see monkeys in the outdoor hot spring baths. Welcome to our website. we, the staff of Shimaya Ryokan are here to make your stay at Yudanaka Onsen(Spa) pleasant and memorable. Located in the center of town, we are only 8minutes away from the Yudanaka station of Nagano Dentetsu Line. Within a short walking distance you will find various types of restaurants and sushi bars, all reasonably priced. A 24 hour convenience store, a coin-operated laundry, an ATM machine and a Post Office. When requested, we provide 'on-demand' free shuttle services to and from the Shimaya to the Jigokudani Snow monkey park. If you come to town with heavy pieces of luggage, please give us an advance notice. We will be happy to pick you up at the Yudanaka Station. You are also welcome to our information desk at the reception. 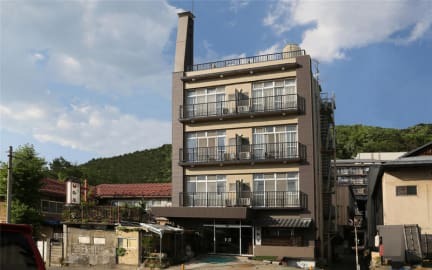 At our hotel, you can enjoy our public Onsen (hot spring bath) filled with the 100% natural hot spring water, which on weekdays can be reserved in advance for private use by families and couples. Check-in is 3pm and Check-out is 10am. prices vary) Breakfast on the following day can be prepared if you ask for it when you check-in. (Japanese1350Yen per person.western800Yen per person)). Me and my family enjoyed our stay at this hostel. The staff was kind and helpful. Our room was great and full of real Japanese atmosphere. An outdoor Onsen with a view and wonderful breakfast. We want to visit this place again. Thank you! I loved this place - bear in mind that it was as cheap as our youth hostel stays. The facilities are a little outdated but they have their own onsen, the owners are very helpful and drove us to see the snow monkeys early before any of the crowds. The owner was very helpful and knows the area well, his recommendations were all excellent. This place was fantastic!! It felt like stepping right into a beautiful movie about traditional Japanese life, the gentleman who runs it is adorable and so accommodating, the private onsen was beyond relaxing, and hanging out with the snow monkeys nearby was one of the most magical things we’ve ever done. I would absolutely stay here again and recommend it to anyone visiting Yudanaka! Excellent staff to keep our interests moving towards completion. Some somewhat complicated transport or activities were easily directed by the host and staff. The ukatas were a great touch and onsen really nice. Thanks to you many times over. The people at Shimaya is what makes the stay so wonderful. They are welcoming, and while their English is limited (and my Japanese is non-existent). They are very helpful- they helped plan a trip to Obuse, giving us suggestions on where to visit for the day. They helped explain where to ski and where to rent gear. They brought us to the Snow Monkey Park (for a small fee). They have a great private onsen, just 30 meters away. We will definitely return to Shimaya for another stay!